After all the gorging during the holiday festivities in December, I'm trying to take a step back and get my health and diet back on track. I haven't been paying attention to what I eat or how often I move. 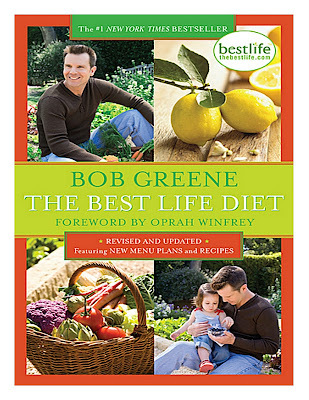 So I am testing out Bob Green's Best Life Diet. 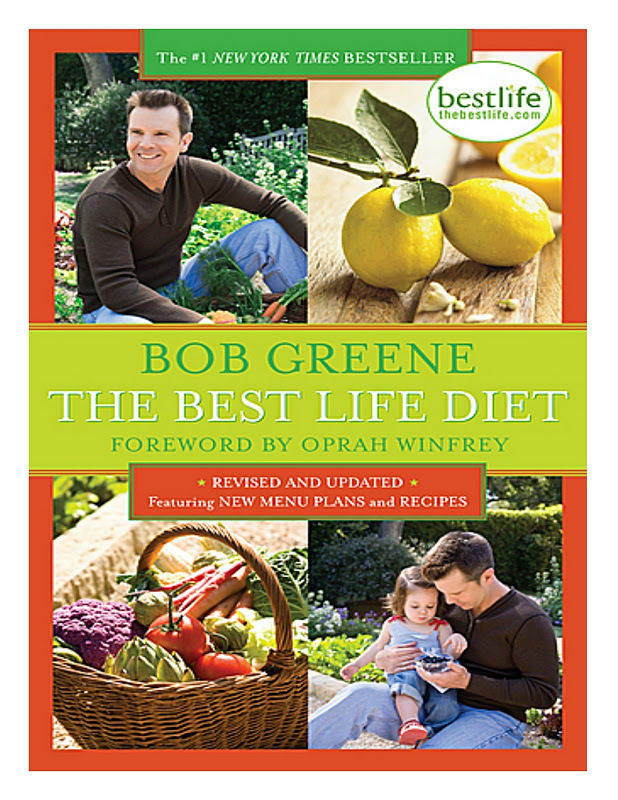 Green is Oprah's weight loss guru and he's written a plain and simple book explaining how weight loss works. I was drawn to this book because it's not really a diet, but about living your best life in a healthy way that is sustainable. It's not a crash diet where you go crazy eliminating all these foods, but a gradual plan with small changes. I just finished phase one, which lasted four weeks. *Eliminate Alcohol - It slows down your metabolism and you often eat more after a couple drinks. Once I eliminated alcohol I realized how many drinks I actually had per week at 200 calories a pop. *Increase Your Activity Level - I'm attempting to move more, go to yoga and lift weights twice a week. Let's face it, I work at my desk all day and have let going to the gym and working out slide over the holidays. *Stay Hydrated - Drink more water. I need to stop drinking so much pop and juice. *Stop Eating Two Hours Before Bedtime - Things don't digest the way they are supposed to when you eat and sleep. *Eat Three Meals + One Snack/Day - I did not realize how late I was eating breakfast or when I was skipping it entirely. I now try to eat a healthy breakfast at least one hour after waking up. So far the book has helped me re-install some good lifestyle habits and Green does a great job explaining in everyday terms why your body does what it does. He even addresses the issue of emotional eating as a major factor in how this habit can cause weight gain. Things like stress, boredom and even celebration can lead us all to eat poorly. I'm a fan of the gradual and small lifestyle changes. They don't feel overwhelming. I also appreciate the meal plans and recipes at the back of the book. I'll keep you posted on how Phase Two goes. What are the tricks you use to get your health back on track after the holidays? A huge trick that can make a big difference in your health is reducing oils in your cooking. Just one tablespoon of olive or grape seed oil has a whopping 120 calories. I use apple cider vinegar or water as a substitute when pan frying. For salads, try a squeezed lemon or lime, some spices and balsamic vinegar.